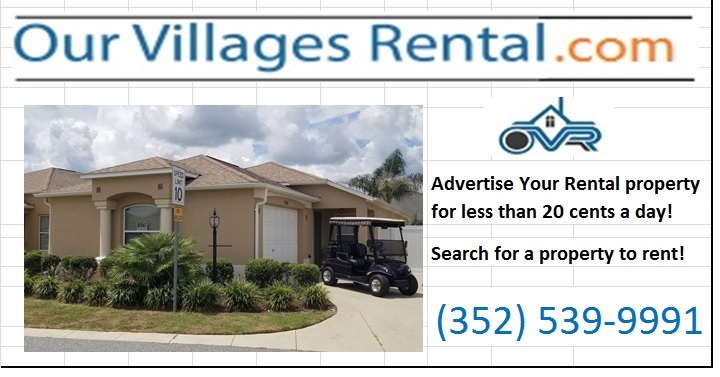 Ads for Our Villages Rental are will now appear at Darrell's Diner in Pinella's Plaza and at beef o'Brady's at Colony Plaza. We're working hard to spread the word with various advertisements to let people know that there's more than one place that you can advertise your rental property! More exposure on the web increases your chances of keeping you home rented for many of the off-peak months and Our Villages Rental is an affordable way to do it! Be sure to tell your friends and neighbors about our website!